I spent a large part of today thinking about and answering interview and essay questions for a New Brunswick Authors Portal being created by the New Brunswick Public Library Service. There is much I do not know about this project so I do wonder how they are going to accurately compile all the other author and publishing information desired to make it happen. Maybe, later, there will be more questions, more requests for biographical and bibliographic information. I have given them the information and images (author photo and most recent book’s cover) that they requested. Andrea Gibson: "Profit", & "I Do"
Zachariah Wells: "Riprap Reprise", "A Cargo Handler Howls", & "Forklift Operator Wanted". Paul Marlowe's The Resident Member radio play as produced by Something Wicked. Kwame Dawes, from his Emmy Award-winning HOPE: Living & Loving with HIV in Jamaica, reading his poems "Hope's Hospice", "Coffee Break", "Nichol", "Live Up", "Making Ends Meet", "Unforgiveness", & "Portmore". bill bissett: "speeking ov environmental issews"
Organizer: Ibero-American Academy of Poetry (AIP)–Fredericton Chapter. Where: Board Room, Fredericton Public Library, 12 Carleton St., Fredericton, NB. AIP–Fredericton is very proud to launch two anthologies of authors from North, Central and South America, published in various languages. The first book is titled Speaking desde las heridas: Cibertestimonio Transfronterizos / Transborder (September 11, 2001-March 11, 2008)(Speaking from the wounds: Transborder Cibertestimonies), edited by Claire Joysmith and published in 2009 with the support of the National Autonomous University of Mexico, CISAN, Monterrey Tech & Whittier College. 114 authors, from eight different countries participated in this compilation about what 9-11 meant to the individual authors. Contributions in Spanish are by celebrated poets such as Claribel Alegría, Marjorie Agosín, José Emilio Pacheco, Eliana Rivero, Wendolyn Lozano and the Fredericton Chapter’s own Director, Nela Rio (with a translation into English by award-winning translator and poet, Hugh Hazelton, an associate member of the Fredericton Chapter of the AIP). English poets included in the anthology are the following: Marilyn Lerch, Joy Harjo, Eve Packer, Thomas Collombat, among others. This book will be introduced by Sophie Lavoie, Chapter Secretary, and poems will be read in the original language in which they appear in the book. Audience members are invited to read poems from the anthology. The second book is Poetic Voices Without Borders 2 (Gival Press) edited by Robert Girón and published in México in 2009. 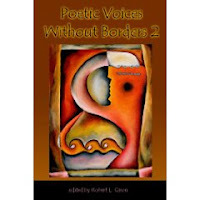 This anthology features poems in English, French, and Spanish has been awarded the National Best Book Award for Fiction & Literature: Anthology, 2009 by USA Book News and Best Poetry Anthology by The Montserrat Review (Spring 2009). Nela Rio will introduce the book and some of the important poets whose work it contains, Claire Joysmith (México) and Luis Alberto Ambroggio, among others. Readings will be in the original language and audience members will be encouraged to read from the collection. 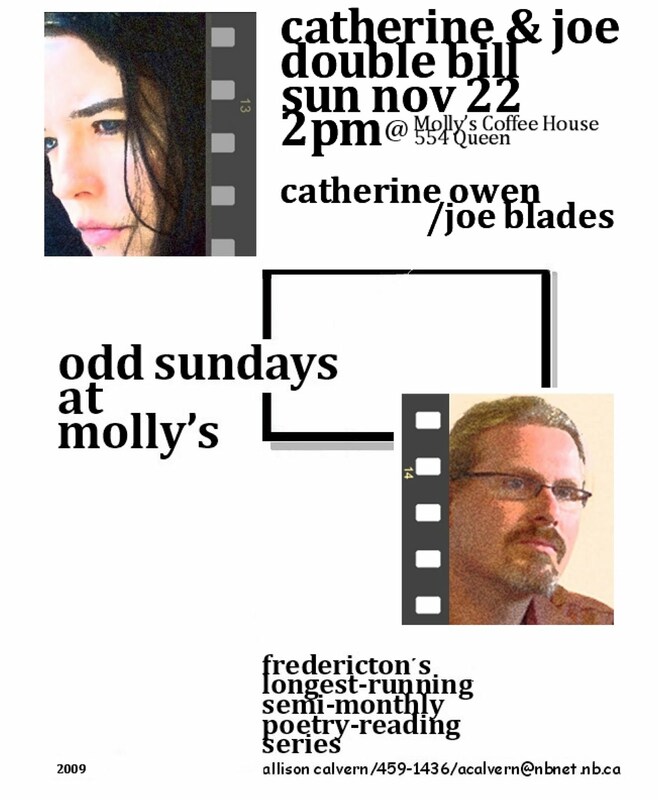 Double Bill at upcoming odd sundays at molly’s: Catherine Owen, Edmonton poet, and local poet, Joe Blades — Sunday, Nov 22, 2pm @ Molly’s Coffee House, 554 Queen Street, Fredericton. Thanks to the quiet generosity of our literary community, every event has a free draw for books. 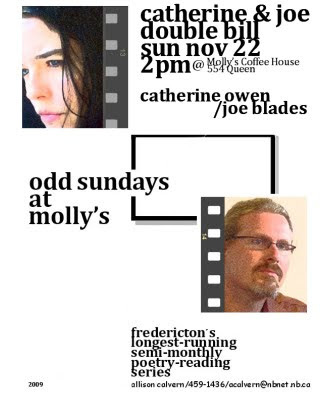 Next Sunday, odd sundays at molly’s introduces you to the poetry and style of Catherine Owen, bassist, singer, tutor, editor, essayist, and poet, poet, poet [from Vancouver; living in Edmonton]. (See more about Owen at www.cathowenpoet.150m.com.) This event will also present the poetry of Joe Blades, local publisher, poet, man of letters. 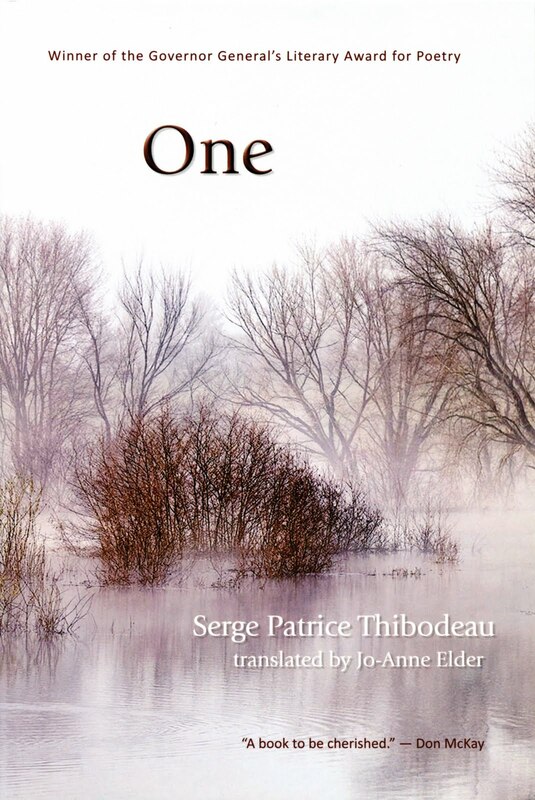 Live interview with Jo-Anne Elder, three-time nominee for the Governor General's Literary Award (Translation), this year for One (Goose Lane Editions) by Serge Patrice Thibodeau. Catherine Owen: shall reading . 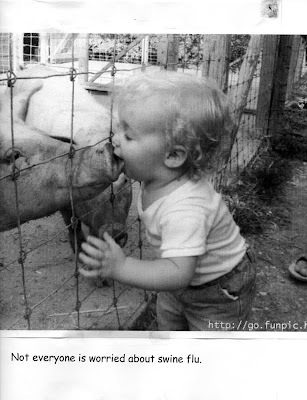 . .
may be getting it . . .
Found this on a notice board at UNB on the weekend. Had the seasonal flu shot this past Friday . . . I've had big, sore, muscle aches in back, neck and legs for days. It's been stressful working under a grant applic revision deadline while trying to read course materials, write papers, and prepare a presentation. But this afternoon things slipped sideways and felt a little weird: my first finger, right hand, went numb-cold-almost asleep; then the numbness spread to fingers on both hands; my forehead got warm and the warmth spread to my ears and facethey're still hot and I was feeling waves of goosebumps on my arms and legs; my ears feel a little poppy; but I don't have a sore throat or cough and my fingers seem to have returned to almost normal. Anyway, to be safe, I cancelled my attending a meeting tonight. Have had a herbal tea. Have other liquids at the ready, bedside, along with phone, cellphone and the notebook this was written on. We'll see how I feel in the morning . . . Sometimes gifts come from unexpected quarters for unexpected reasons—a blog post, for example . . . In January 2007 I wrote about a bag full of handmade ties, mostly Madawaska Weavers’ ties, that I’d been given: brokenjoe.blogspot.com/2007/01/one-for-weavers.html. The ties, all nicely dry cleaned after the smoke, expecially, from the April apartment building fire, were returned to me on hangers with plastic bags overtop (along with almost all my other clothes, and a $1600 bill to come out of the insurance claim). 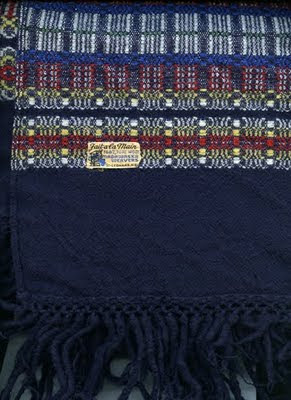 Late last month that Jan ’07 blog post received a comment about a Madawaska Weavers wool scarf (pictured above) that a woman had. She wondered if I would be interested in giving it a good home? In my post office box’s bundle of oversized mail this week was a bubble envelope from Connecticut. Inside it was this beautiful, dark blue scarf with colour detailing at each end, about 22" x 76" in size, in excellent condition. Wow! Thank you, Jessie! Your gifting is amazing. Thank you so much. 3 Nov, Tuesday, 7—8 pm. Ashes, Paper & Beans: Fredericton’s Writing & Arts, host Joe Blades on CHSR 97.9 FM: community—campus radio, Fredericton, NB. Tony Merzetti—General SWFF; Pierre Huard, BronweN, Britney Sparrow, Jillian Acreman and Tim Rayne. Visit swfilmfest.com for festival info and a downloadable program.